José Vermeersch is a Modern Art Sculptor from Belgium represented by " Kunst galerij Neerman " a good friend of mine who also collect African Art. 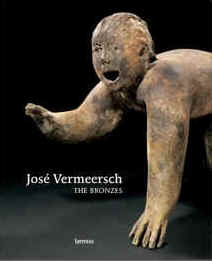 The official site is www.jose-vermeersch.be . His work make me think at chinese ceramics.